Mangroves are quite the resilient bunch. The only flowering trees that can exist between land and sea, mangroves derive their name from the Spanish mangle, a name which probably arose during the period of the Spanish colonisation of the Americas in the late 15th century. However, the first mention of mangroves in ancient literature was made by Greek explorers in the time of Alexander the Great. For centuries since, the intimate dependence between man and mangroves has stood the test of time, as coastal communities from eastern Africa to the western Pacific have not only relied on them for wood to build homes, but have even honoured them as sacred sites of worship. In spite of the variety of ways in which human settlements depend on mangroves over time, they have been disappearing at alarming rates in recent decades due to deforestation. Climate change also foreshadows a world with fewer mangroves. We take a look at what mangroves are, the threats they face, and why these forests by the sea are worth conserving. Mangrove trees in the Caribbean sea, Panama, Central America. Mangrove forests are tropical forests which are particularly unique as they straddle the sea and land along coastlines. Because mangroves are found so close to the sea, they experience a host of pressures. Not many species of trees are known to be able to withstand the salinity of the sea, the pounding of ocean waves, and the variations in soil type found along a coast, like the way mangroves can. The adaptation of mangroves to such dynamic natural conditions render them far more versatile and resilient as compared to the more familiar inland tropical rainforests. Typically, mangroves are located in the tropics where climatic conditions such as high rainfall and temperatures are found throughout the year. Mangroves are even found further afield from the tropics in places such as Australia and northern New Zealand. However, the lack of rainfall during the dry seasons usually mean mangroves in these areas are less extensive than those further up north in Southeast Asia, for example. Asia is a particularly important region for mangrove conservation as it is home to 42 percent of the world’s mangroves. Southeast Asia and South Asia account for 31 percent and 7 percent of global mangrove cover respectively. Moreover, Southeast Asia is the world’s most biodiverse mangrove region. What threats do mangroves face in Southeast Asia? Deforestation is one of the major threats to mangroves in Southeast Asia. In spite of the fact that Indonesia and Malaysia are the most important mangrove biodiversity hotspots within Southeast Asia, both countries are unfortunately expected to see the largest decline of mangrove area compared to other countries in the region. Estimations suggest that Indonesia and Malaysia will lose around one-third of their mangrove cover as recorded in 2000. Development along coastlines and conversion into shrimp ponds have driven the clearing of mangroves in these countries. In Indonesia alone, these ponds support a shrimp industry worth US$ 1 billion. Climate change is similarly a major threat to mangroves in Southeast Asia. Warmer temperatures and increased rainfall are projected to increase with climate change, which will allow mangroves in Southeast Asia to enjoy a longer growing season. However, the threat of sea level rise to mangroves features as a grave concern. Mangrove trees have varying tolerance levels to saltwater and have hence adapted to growing in distinct zones from inland out to sea. Rising sea levels may disturb this delicate balance and push mangroves further back inland. However, as resilient and adaptable as mangroves have been, there are often limits to how much further back mangroves can move as the area further inland may already have been developed. 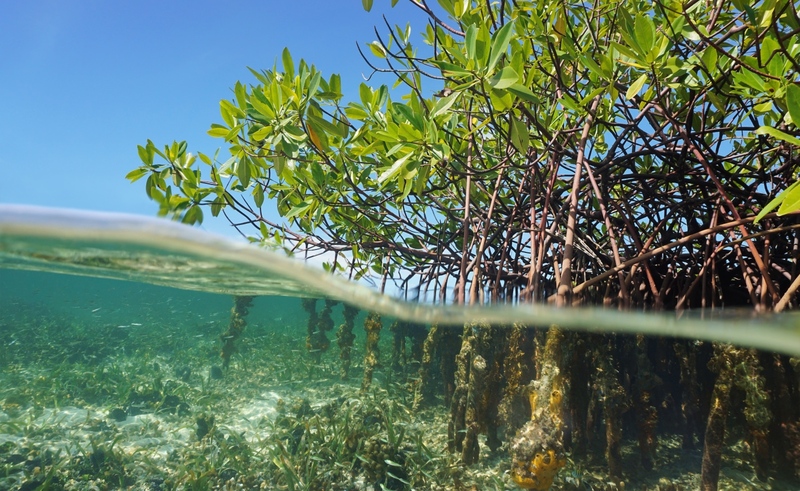 Rising sea levels threaten the life of Mangrove forests. Mangroves carry out a host of functions that are important for the natural environment, and crucially, they also provide humans with a range of services ranging from defending our coastlines to providing us with food and raw materials. Like other forests, mangroves are important carbon sinks and act as the ‘green lungs’ of the Earth. Yet, unlike the average forest, mangroves hold a higher capacity to store carbon. Mangroves are therefore a buffer against global warming and climate change—they play a pivotal role in helping to prevent more carbon from existing in the atmosphere. Before and After: 23 June 2004 to 28 January 2005, Banda Aceh, Indonesia. The area suffered physical devastation in coastal areas due to a lack of mangrove protection during the 2004 Indian Ocean Tsunami. Before and After: 31 December 2003 to 31 December 2004. In contrast, Bang Wan, Thailand, suffered less devastation from the 2004 Indian Ocean Tsunami due to protection from mangroves. Mangroves are also crucial for coastal protection. The 2004 Indian Ocean Tsunami presents a clear example of how mangroves protect coastal communities from the damaging effects of tsunamis. Areas along the south eastern coast of India with mangrove forests suffered less damage as they were able to absorb the impact of the water, and fewer lives were lost during the disaster. Mangroves also protect coastal communities from the damaging effects of coastal erosion and sea level rise even though mangroves themselves are vulnerable to these threats. In many ways, they often literally take the hit for the communities they protect. As mangroves are able to support ecosystems with rich biodiversity, they serve as stopover points in the annual migration routes for a variety of bird species. From September to March, birds travelling between Siberia and Australia use Singapore’s Sungei Buloh Wetland Reserve as a resting point, hence rendering the reserve and other Southeast Asian mangroves as sites of international importance. 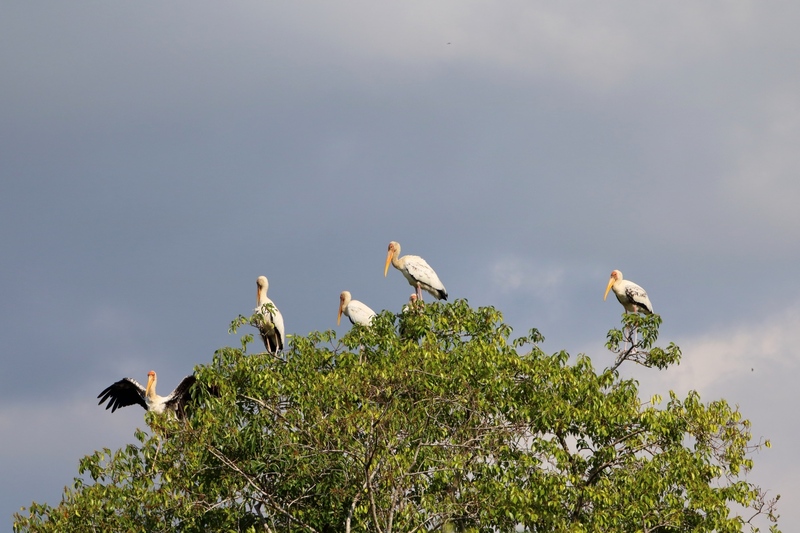 Milky storks standing atop mangrove trees in Sungei Buloh nature reserve, Singapore. Mangroves also provide raw materials for the production of wood, leather, and medicinal products which local communities living next to the forests benefit from using and exporting. In developing nations such as Indonesia, the fruits, shoots, and seeds of mangrove trees continue to be a source of food. On a larger scale, mangroves support fisheries by serving as nurseries for juvenile fish and are therefore of commercial value. Juveniles of John’s snapper (Lutjanus johnii) live in the Matang Mangrove Forest Reserve in Perak, Malaysia for roughly one year before moving out to the Malacca Strait where mature individuals are considered commercially valuable. Man’s relationship with mangroves has spanned centuries, if not millennia. From the time of ancient civilisations which set up home along coasts and on river deltas, mangroves have provided us with a plethora of resources as well as with physical protection from the forces of the ocean—just as they do today. However, the thirst for development especially in developing countries in Asia has threatened even the most biodiverse of mangroves like never before. Localised deforestation has already removed large tracts of mangroves while the spectre of global climate change paints a bleak future for the prospect of their growth. Their loss will impact not only local communities and industries which extract resources from them, but also the global ecosystems which indirectly depend on them to support avian migration and to store carbon. Mangroves may have adapted over thousands of years to become a resilient bunch, but in view of human action over mere decades which stands to test their mettle like never before, much more needs to be done to protect these forests by the sea. Brander, Luke M., Alfred J. Wagtendonk, Salman S. Hussain, Alistair McVittie, Peter H. Verburg, Rudolf S. de Groot, and Sander van der Ploeg. "Ecosystem service values for mangroves in Southeast Asia: A meta-analysis and value transfer application." Ecosystem Services 1, no. 1 (2012): 62-69. Ellison, Joanna C. "Vulnerability of mangroves to climate change." In Mangrove Ecosystems of Asia, pp. 213-231. Springer, New York, NY, 2014. Ellison, Joanna C., and Isabella Zouh. "Vulnerability to climate change of mangroves: assessment from Cameroon, Central Africa." Biology 1, no. 3 (2012): 617-638. Friess, Daniel A., Benjamin S. Thompson, Ben Brown, A. Aldrie Amir, Clint Cameron, Heather J. Koldewey, Sigit D. Sasmito, and Frida Sidik. "Policy challenges and approaches for the conservation of mangrove forests in Southeast Asia." Conservation Biology 30, no. 5 (2016): 933-949. Giri, Chandra, Edward Ochieng, Larry L. Tieszen, Zq Zhu, Ashbindu Singh, Tomas Loveland, Jeff Masek, and Norman Duke. "Status and distribution of mangrove forests of the world using earth observation satellite data." Global Ecology and Biogeography 20, no. 1 (2011): 154-159. Giri, Chandra, Jordan Long, Sawaid Abbas, R. Mani Murali, Faisal M. Qamer, Bruce Pengra, and David Thau. "Distribution and dynamics of mangrove forests of South Asia." Journal of environmental management 148 (2015): 101-111. López-Angarita, Juliana, Callum M. Roberts, Alexander Tilley, Julie P. Hawkins, and Richard G. Cooke. "Mangroves and people: Lessons from a history of use and abuse in four Latin American countries." Forest Ecology and Management 368 (2016): 151-162. “Mangrove.” Oxford Living Dictionaries. Accessed July 24, 2018. Orchard, Steven Emmerson, Lindsay Carman Stringer, and Claire Helen Quinn. "Mangrove system dynamics in Southeast Asia: linking livelihoods and ecosystem services in Vietnam." Regional Environmental Change 16, no. 3 (2016): 865-879. Ramdani, Fatwa, Sabaruddin Rahman, and Chandra Giri. "Principal polar spectral indices for mapping mangroves forest in South East Asia: study case Indonesia." International Journal of Digital Earth (2018): 1-15. Tanaka, Katsuhisa, Yukio Hanamura, Ving Ching Chong, Satoshi Watanabe, Alias Man, Faizul Mohd Kassim, Masashi Kodama, and Tadafumi Ichikawa. "Stable isotope analysis reveals ontogenetic migration and the importance of a large mangrove estuary as a feeding ground for juvenile John’s snapper Lutjanus johnii." Fisheries Science 77, no. 5 (2011): 809.
van Oudenhoven, Alexander PE, Audrie J. Siahainenia, Ita Sualia, Femke H. Tonneijck, Sander van der Ploeg, Rudolf S. de Groot, Rob Alkemade, and Rik Leemans. "Effects of different management regimes on mangrove ecosystem services in Java, Indonesia." Ocean & Coastal Management 116 (2015): 353-367. 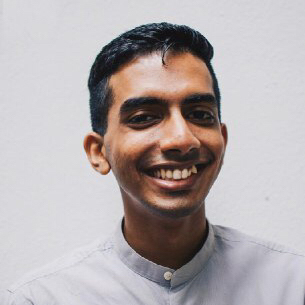 Yudhish is an undergraduate in the Bachelor of Environmental Studies programme at the National University of Singapore. A former intern at Kontinentalist, he enjoys exploring how maps can be used to uncover patterns that exist across nature and human societies. As much as he depends on maps to get around, he enjoys losing himself in Singapore’s nature reserves and reservoirs.